The Thang Long Imperial Citadel has become the 900th site to be inscribed on UNESCO’s World Heritage List. The Citadel was built in the 11th century by the Ly Viet Dynasty, marking the independence of the Dai Viet. It was constructed on the remains of a Chinese fortress dating from the 7th century, on drained land reclaimed from the Red River Delta in Hanoi. It was the centre of regional political power for almost 13 centuries without interruption. The World Heritage Committee meeting in Brasilia has also inscribed new cultural sites in China, Tajikistan, France, the Netherlands, on the UNESCO World Heritage List. Mount Songshang is considered to be the central sacred mountain of China. At the foot of this 1500 metre high mountain, close to the city of Dengfeng in Henan province and spread over a 40 square-kilometre circle, stand eight clusters of buildings and sites, including three Han Que gates – remains of the oldest religious edifices in China –, temples, the Zhougong Sundial Platform and the Dengfeng Observatory. Constructed over the course of nine dynasties, these buildings are reflections of different ways of perceiving the centre of heaven and earth and the power of the mountain as a centre for religious devotion. The historical monuments of Dengfeng include some of the best examples of ancient Chinese buildings devoted to ritual, science, technology and education. 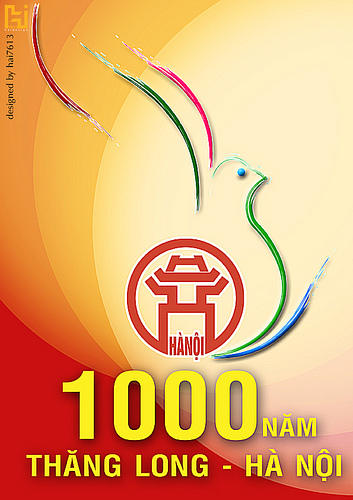 A poetry book entitled Hoa Lu Thi Tap weighs up to 54kg and has been published to celebrate Hanoi’s 1000th birthday. This book is 109cm x 70cm x 10cm in size. It needs two people to move this book. The book covers are made with rare wood, carved with dragons and information about the book. The Netherlands Government on October 5 presented the capital city of Hanoi with a new species of tulip named after Thang Long-Hanoi, as a special gift to mark the city’s 1,000th anniversary. At the presentation ceremony, Netherlands Ambassador to Vietnam Joop Scheffers said the new tulip strain was created by Dutch biologists. The tulip has tone values of red and yellow, the two colours of Vietnam’s national flag. The ambassador said the gift was a symbol of the fine traditional relations between the Netherlands and Vietnam and the Netherlands would soon transfer the technology to grow this tulip species to Hanoi. On behalf of Hanoi authorities and people, Vice Chairperson of the Municipal People’s Committee Ngo Thi Thanh Hang affirmed that the gift was significant and precious.